We Are ESL – I think the key to success, in whatever you do, is to love it! As I am Swiss German, at that time I was looking for a job in a bar in the French part of Switzerland to learn French. I walked by a company sign that read “ESL – Séjours linguistiques” and thought “This sounds interesting!”, as I love foreign languages and cultures. I walked right inside and asked if they might have a job for me. After talking to Patrick, the founder of the company, 30 minutes later I walked out with my first-ever internship contract. I still remember how happy I was, calling my father very proudly, with the contract in my hand. I then worked for 6 months in Montreux, Switzerland, as an intern in the sales department, and I absolutely loved it! Today I’m the Area Manager for Switzerland, overseeing 16 sales offices and being held responsible for the quality of the service, staff performance, internal trainings, marketing actions and many more challenging tasks. I think the key to success, in whatever you do, is to love it. And if you don’t love what you do, you should change your job. I had the big chance to find my passion and this has helped me to grow from an intern into the role I have today. The aspects that many young people underestimate are the soft skills, the emotional intelligence and the ability to interact within an organization. The fact that ESL is a company that believes in its people and helps them grow is a big gift. Without the company’s trust I would not stand where I am today. What I love about my job is that it has purpose. Connecting people around the globe and raising awareness that we are at the end all the same, no matter what race, religion or language we speak. Anybody that has worked, studied or lived in a foreign country knows that the language is the door to the culture. I’ve seen so many people returning from a language stay with an open spirit and awareness that will help them throughout life. 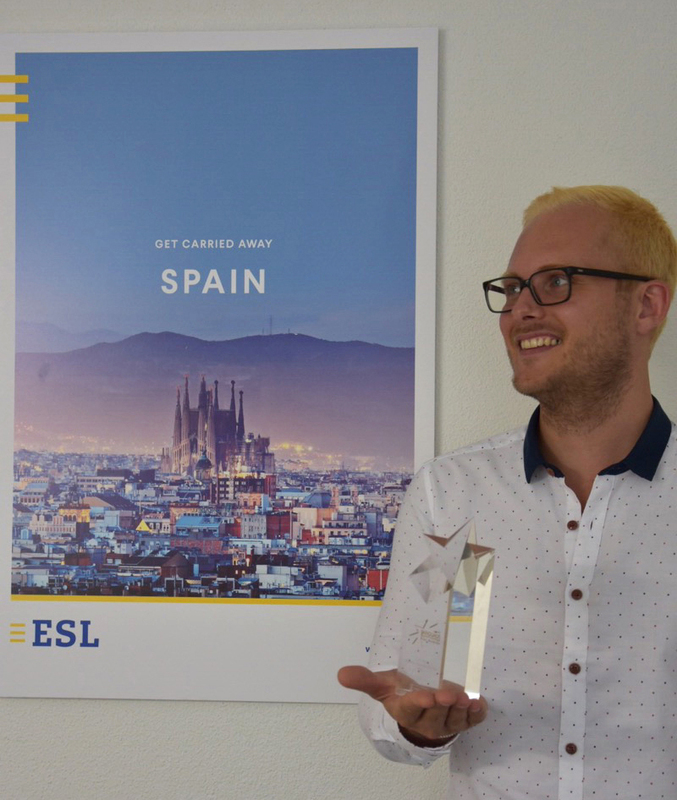 I think that ESL’s success is due to the fact that all people working for the company have had this kind of experience and share this passion. We value the time and money investment of our customers with the highest service in counseling and the best partner schools possible.